With the rise of AI, voice, and more generally language-driven technologies — like chatbots, Siri, and Amazon Echo — conversational user interfaces (CUI) have a chance of becoming the next major technology platform after mobile. The increase in interaction with mobile devices, which by nature have small screens that can make it difficult to see graphical elements. Consumer demand to remove friction, such as a way to reach an answer and/or benefit more quickly and easily. 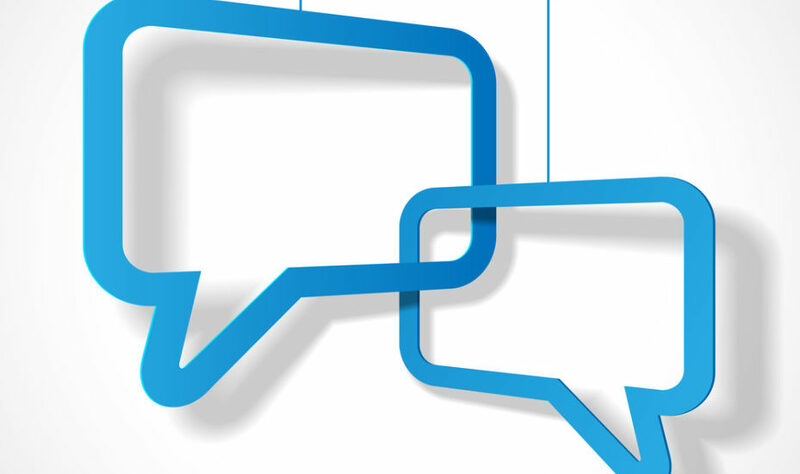 The rise of messaging apps for real-time communication between multiple users. Once-emerging technologies like voice recognition, natural language understanding, intent extraction, and speech synthesis becoming increasing sophisticated and more than good enough to put in production. Think about an experience you’ve had with an interactive voice response (IVR) service on a customer service line. “Press 1 to file a claim, press 2 for the main menu, etc.” Who hasn’t spent too much time with a voice interface that is hierarchical, impersonal, and robotic? That can be a common conversational UI trap as well, because reducing input choices can be an “easier” way to implement conversational UI into an existing infrastructure, thereby almost re-creating the disliked IVR user experience. Another misconception is that a conversational voice user interface is a chatbot with a speech-recognizer and synthesizer attached. Chatbots offer a simplified, one-dimensional user experience that is sequential and resistant to context switching. Conversational VUI, on the other hand, is synchronous. It must rely solely on what we say, without visual cues, leaving the progress of a conversation to the user’s memory and ingenuity. It offers, however, the most frictionless form of communication. There are a few key attributes that make for a successful conversational UI application. It must actually be conversational. A good conversational UI uses natural language that is humanized, and it shares control of the conversation. This means not only answering questions but also making reasonable suggestions of its own, using machine learning. It must feel as personal as a 1:1 conversation. The voice of the conversational UI should be both personal and personable — addressing a user by name, for example, and using language that runs through sentiment analysis to match the relayed content or the emotional state of the user. Many users think of virtual assistants that use conversational UI as human and expect individualized conversations. A personalized conversation is key, as opposed to having the user navigate the same UI as millions of other users. It must get empathy right. Conversational UI should show appropriate personalized empathy by knowing how the information it presents may make the user feel. It understands the situation and responses accordingly. For example, a status update that “your checking account is overdrawn” isn’t stated with a bright, happy voice. It must maintain context and history. Nobody likes to repeat themselves in a conversation, and the same is true when humans interact with conversational UI. A strong conversational UI maintains context of the conversation and is able to take direction or answer questions based on past questions, where you are, who you are with, what you are doing, etc. It should carry over entities from one request to the next and adapt as needed. It must be accurate and consistent to gain trust. As with human interactions, a level of trust must be established between a user and a conversational UI. A good conversational UI is accurate and consistent, increasing the level of confidence with the user not only about the information provided, but also about the level of understanding demonstrated by the conversational UI’s response. Have daily or frequent use. This prevents users from having to re-learn new behaviors and establish trust on an inconsistent basis. Require little verbal input. Keep in mind that users take advantage of conversational UI in order to get to the information or answer they are seeking quickly, so the fewer words they have to say to get the desired outcome, the better. Achieve a task. Users demand more from their devices and conversational UI than simply answering a question or offering information. Applications of conversational UI that can perform a task — such as sending an invoice, texting a friend, or creating an appointment — lead to a sense of accomplishment for the user. Offering an empathetic, humanized experience through a well-designed and well-applied conversational UI is a great way to bring a more personalized experience to your users and provide a better user relationship overall. Wolf Paulus is a Principal Software Engineer at Intuit, and an internationally experienced technologist and innovator leveraging emerging technologies.